This evening, I discovered that it takes an hour and a half to walk from the Cluny to our house. I hadn’t actually planned to do so. A bargain bike purchase on eBay meant that I needed to transport my new acquisition from Heaton. I’d intended riding the bike home and even had the foresight to locate a bike tool in case immediate adjustments were necessary. 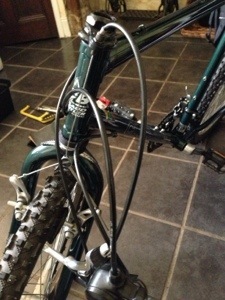 Unfortunately, my inability to remember to take the bike tool with me resulted in my not being able to lower the seat. Still, I needed the exercise. It’s a lovely bike; a bit of a project, but there’s very little to put right. I think it’s from around 1996, so was probably even made in the UK. This entry was posted in Cycling on 27/05/2014 by garymoore. I had a most pleasant bank holiday Monday yesterday. We had a walk to the Schooner, via Visocchi’s. The Schooner had an afternoon of live music, so we stayed there a little while. It was nice to sit outside in the sunshine, listening to music. 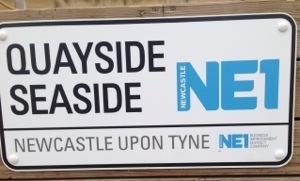 Making the most of the weather, we walked along the river and crossed over to the Tyne Bar. The place was busy, inside and out, but we managed to find seats. After two or three pints of Taddy Lager and veggie burgers, we set off home. Stopping off at the Bridge. An enjoyable day. 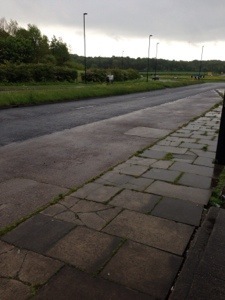 This entry was posted in Pubs, Weather on 27/05/2014 by garymoore. I don’t actually care if that last post offends anyone. I’m considering becoming more active in my views. I don’t have extreme opinions or anything like that. But I believe it ‘s wrong to eat animals. Roadkill’s ok I guess, but that’s a personal choice. This entry was posted in Food on 25/05/2014 by garymoore. There has been a murder today. In fact, there have been several thousand murders today. Of course, this hasn’t featured in today’s news for one simple reason. And that’s because I’m talking about animals rather than people. It’s ok that animals are killed to fuel human greed. Apparently. Greed. Because it’s not needed. And cheaper? Because the NHS bill would be a lot lower if people didn’t eat corpses. We have some pointy teeth. Yes, we do. And those teeth could tear through a dead creature? I don’t think so. We’re designed to eat what we can dig up (most common) or what we can catch. That doesn’t involve daily pink slime (processed food). And, the important question, why don’t we eat dogs? Well, we do. But not in the west. I’m sure that dogs taste just as nice as cows. And sheep. And rabbits (blurry line since they’re often pets). Oh, what about horses? Apparently they taste nice too, since no one noticed they were eating horse in their bovine products last year. Last of all, people. Surely they taste nice too. We burn or bury them when they expire, so why not recycle them? Unappetising for people I accept, but we could recycle people for pet food. I mean, weren’t they designed to eat us? I should stop. I could go on. But I’d offend people who eat other animals. My poor old bike’s gone to bits. 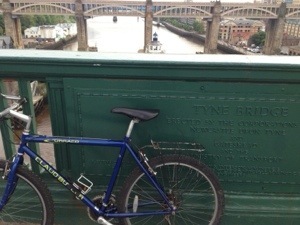 This entry was posted in Cycling on 25/05/2014 by garymoore. The bus stop in Benton Lane wasn’t so nice today. This entry was posted in Out and about, Transport, Weather on 24/05/2014 by garymoore. 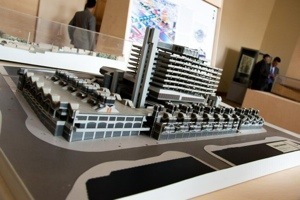 I came across this picture of a model of the then planned car park and market for Gateshead town centre. It reminds me of the graphics used to promote what is now the old town centre development’s replacement. Maybe Luder was right when he said that the new development will go the same way as his controversial Get Carter car park. This entry was posted in History on 24/05/2014 by garymoore. Tiring of the beast that is my new phone case, and passing time while on buses, I’ve been looking for alternatives. 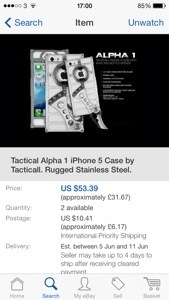 Obviously, I’d like a case which will actually protect the phone, but something multi-functional might be a good thing. As long as that didn’t result in a huge case, that is (current massive case, for example). I may have found the ideal manphonecase; it looks tough enough and even has a penknife and bottle opener. The only question is whether to buy one right away or wait for one with a built-in screwdriver. This entry was posted in Technology on 23/05/2014 by garymoore. This entry was posted in Music on 21/05/2014 by garymoore. 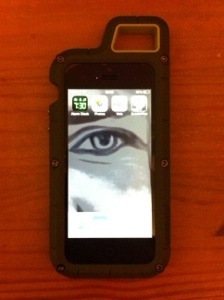 For just over half of its contract life, my old iPhone 4 was safely protected by an Incipio bombproof case. While it did somewhat resemble a hand grenade, the phone was kept in pristine condition. Of course, I did get bored with the case eventually and switched to a standard, thin cover. Shortly after which the phone did attract minor dents. After realising that an iPhone 5 isn’t as durable as its predecessor, I decided to search for the same case to prevent further scrapes during the remaining months of my current contract. I wasn’t successful, but have now found what I thought might be a suitable replacement. Even better, I found a case with a lanyard attachment, ideal for the impending festival season. Regrettably, my new case is quite horrible. 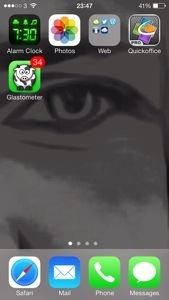 This entry was posted in Technology on 20/05/2014 by garymoore.